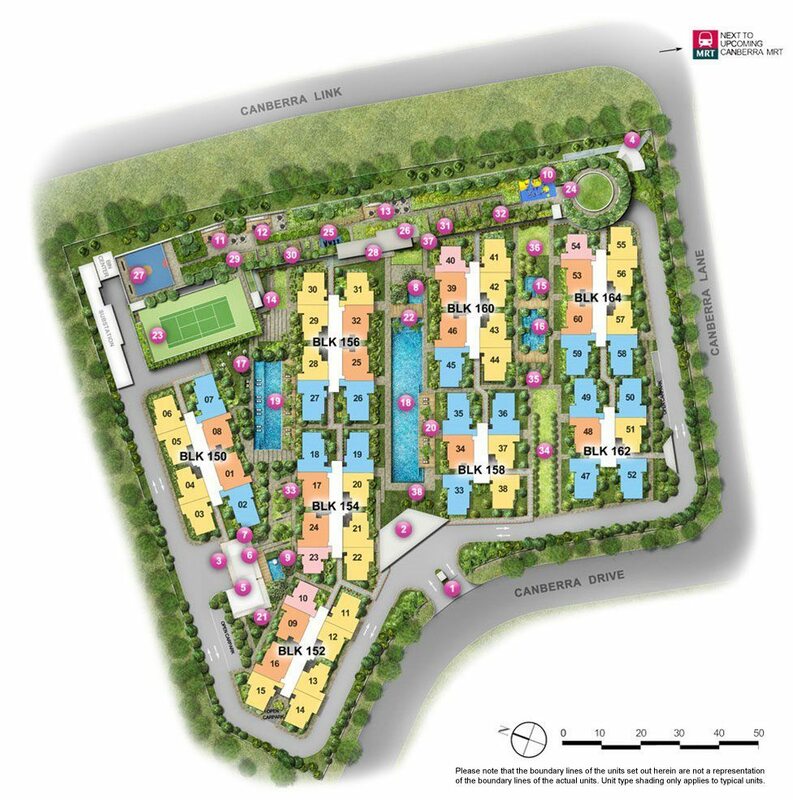 D'Nest DNest New Condo City Developments Limited. CDL New Launch. Only 4 bedroom and 4 bedroom suite units are available. Call or fill up the contact form for an appointment. 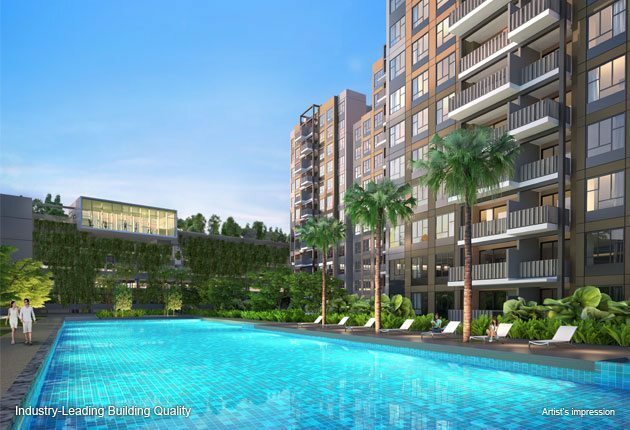 Conveniently situated in the east of Singapore, d’Nest by City Developments Limited is an eco-friendly residence planned with cosiness and privacy in mind. d’Nest nurtures you and your family the way nature intended. Solar panels, organic forms, eco-features and generous landscape spaces characterise this lush haven. 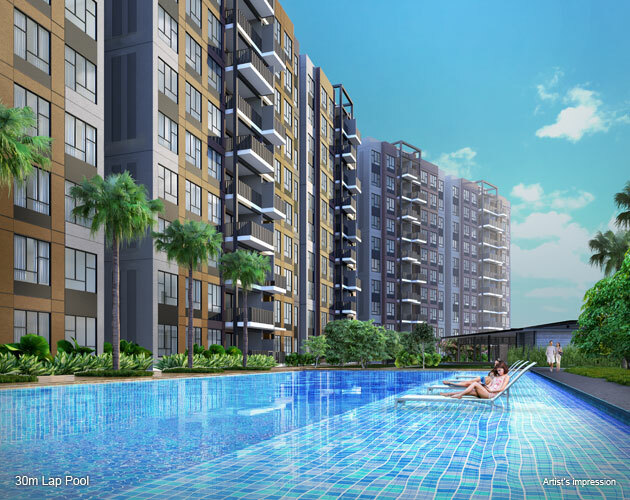 With Singapore’s largest water theme park and Pasir Ris Park just minutes away, d’Nest is your gateway to fun-filled family outings. A short drive also takes you to Changi Business Park, Singapore EXPO and Singapore Changi Airport. or with a game of tennis. Rise to a whole new level of enjoyment and experience, with luxurious facilities crafted for your pleasure. Enjoy the pool-view Clubhouse, Gymnasium and luxurious pools. From speedy rounds at the Junior Skating Rink to exercise sets at the elevated gym, it’s easier than ever to get active and energised. Cool off and unwind with seven inviting pools. A splash pool for kids is perfect for frolicking on a sunny day, while an Olympic-length lap pool encourages you to master your strokes. The interiors are efficient and spacious paragons of modern contemporary design, and once you move in all the things you love, the entire ensemble is one of elegance daily. Every unit comes with appliances from Whirlpool and air-conditioners from Mitsubishi. The bathrooms are also appointed with fittings and wares from Hansgrohe and Rigel. CDL is pioneering the use of Prefabricated Prefinished Volumetric Construction (PPVC), an innovative new technology in The Brownstone Executive Condominium (EC). The use of PPVC for The Brownstone EC is the first of its kind in Asia, and likely to be the world’s largest application for a large-scale residential development. Extraordinary construction for your home, with the advanced technology of PPVC. More than 40% increase in productivity, as compared to conventional construction methods, for a shorter construction time.